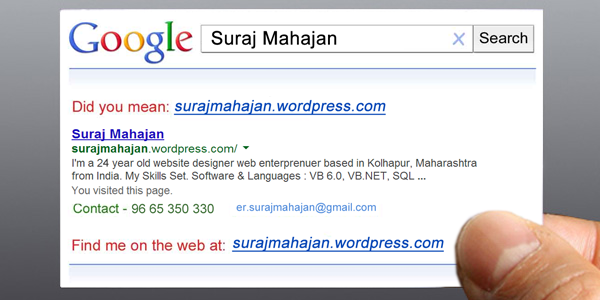 I’m a 22 year old website designer web enterprenuer based in Kolhapur, Maharashtra from India. Applications: Adobe Photoshop, Coral Draw, Dreamviewer , MS VSS . How I can help you or your business ? You might be interested in the idea of having a website but are unsure of what is involved. Or you might already have a website but are concerned that it is not performing to its full potential. To solve all your IT related queries, consult me, for the latest and the most efficient solutions. I’ll make sure your business adapts new technologies as smoothly as possible. If you would be interested in having me design a website for you or your company then please contact me at the below mentioned email address with a brief overview of what the site is for and I will be happy to answer any questions.